Ural motorcycles are known primarily for their sidecars. 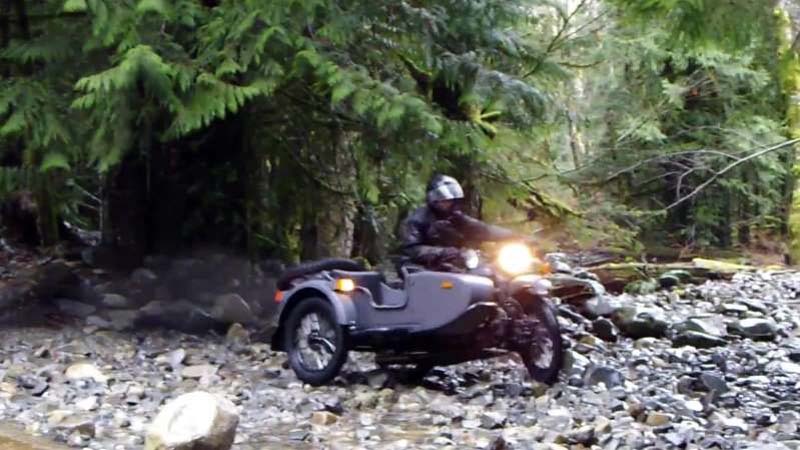 While other motorcycle manufacturers may allow for the attachment of a tub on the side, only with Ural is the integral sidecar a defining characteristic of the riding experience. Don't forget the availability of a powered sidecar wheel for true two-wheel drive, and don't underestimate the strength and durability of the entire outfit. But what Ural isn't traditionally known for is a focus on gadgets and technology. That's apparently beginning to change in 2018 with the introduction of the Air Limited Edition. The big news is the addition of a 3D-printed cubby manufactured by StrataSys in the nose of the sidecar from which a DJI Spark drone can be deployed. A custom mount from RAM holds the controller for the sidecar passenger. 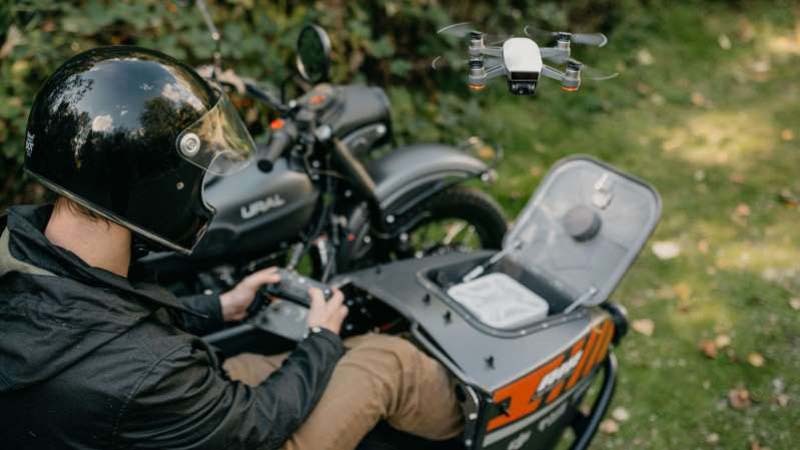 The two-wheel-drive Ural Air also comes with an integrated USB charging port to keep the drone's battery topped up and a telescoping selfie stick that holds an windsock. It's painted in a slate grey metallic scheme with blacked-out accessories and contrasting orange and white decals. Fog lights at the front of the sidecar are a nice, practical addition. 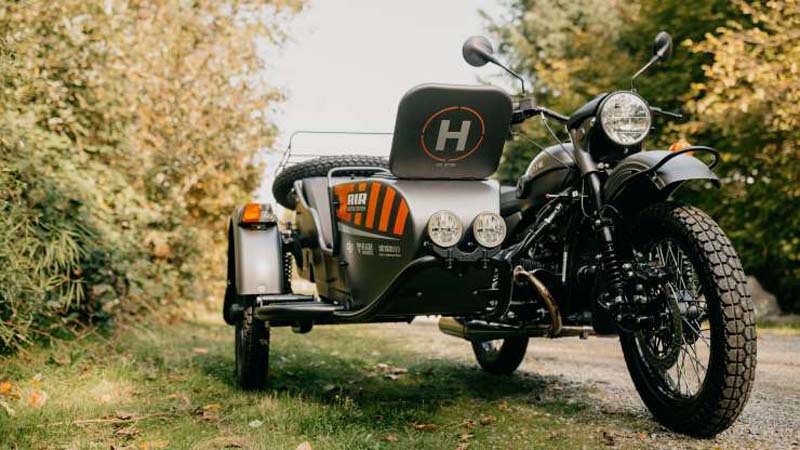 And if you're worried that Ural will completely forget its diehard fanbase, don't – there's also a trunk-mounted luggage rack, jerry can, tool kit, and utility shovel. While a deployable drone may seem like a gimmick from a company like Ural, there are actually some real advantages to the idea. We've done some pretty serious off-roading in Ural's two-wheel-drive sidecar motorcycles, and have found them supremely capable. And when the going gets really tough, the drone could potentially be used to help scout out the terrain ahead or to see what cool landscapes are nearby and worth exploring. Want one? Ural is currently taking deposits for the Air, and they are expected to hit dealerships in November. Only 40 are planned worldwide, each with a $17,999 asking price. Check out the video above for more, and see it in high resolution in our image gallery.